Welcome to the Master Gardener Volunteer Program! 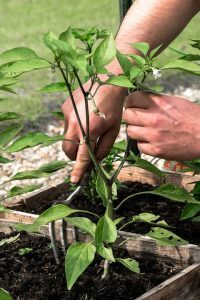 The Master Gardener Volunteer program is a volunteer organization designed through the University of Wisconsin Extension to train horticulture volunteers. These Master Gardener Volunteers help the people of Rock County to better understand horticulture and the environment. Volunteers learn the fundamental basics of horticulture so that they can become effective community leaders through volunteering. Training is facilitated through the UW-Extension Rock County office and includes online learning, classroom instruction, at-home reading, hands-on activities, and field trips. Anyone 18 years or older can become a Master Gardener Volunteer and no previous experience is required. The training program is designed for beginners and experts alike – there is always something new to learn. Become a Master Gardener Volunteer in Rock County! Attend a series of 14 lectures with in-class activities, at home reading, and online lectures. Complete a final take home exam with a score of 70% or better. The exam will consist of an individual presentation and a written portion. Complete a minimum of 24 hours of garden related community service by September 31. During training, you’ll be introduced to volunteer service as a Master Gardener Volunteer while learning the fundamentals of horticulture, including: botany, soil science, entomology, plant pathology, weeds, wildlife, general gardening practices, herbaceous and woody ornamentals, vegetables and fruits, lawns, and much more. Learn about the Rock County Master Gardener Volunteer program, including current projects, continuing education and volunteer opportunities. For more information contact the UW-Extension Rock County office at 608-757-5696.